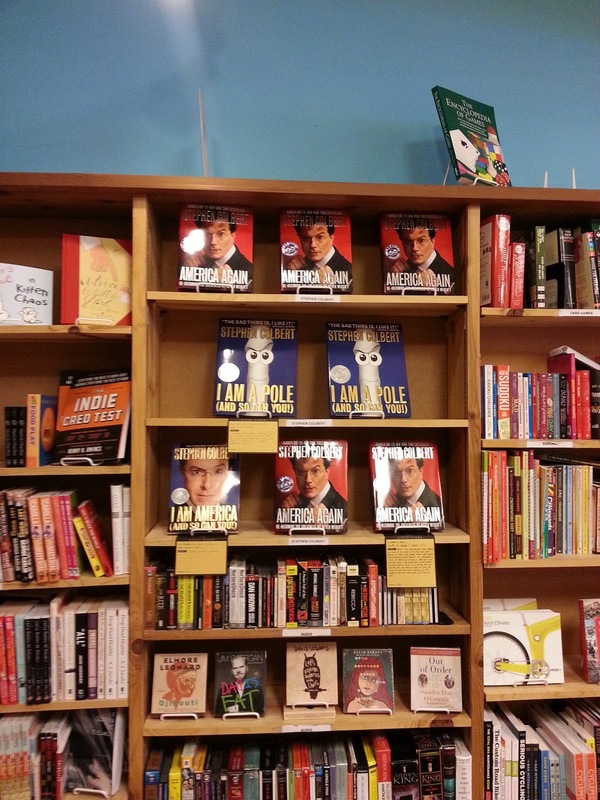 We've got ourselves a new section! All Stephen Colbert, all the time! 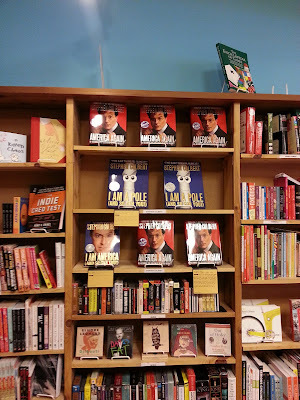 Actually, I was just shifting some things around, to give our humor section a bit of room to stretch, but my love for Stephen sort of took over, and the greatest section in the store was born! Sadly, I doubt it will last long, so you better head over now! And if you haven't, you really should listen to Stephen's latest book on audio. It's perfect. My review below! NATION! 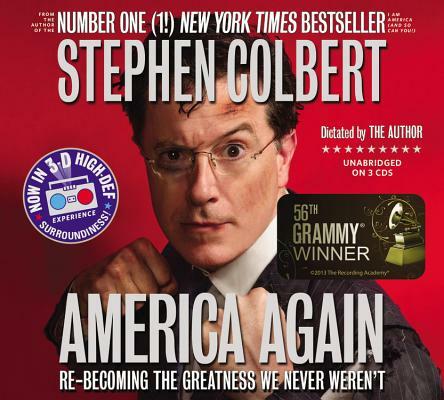 The only thing better than Stephen's latest book is the audio version of Stephen's latest book. Why? Because it's read by the author. That's right! Stephen Colbert reading Stephen Colbert. Actually, much of it is shouted, but that's okay too. It's outrageous and informative, and I think the best way to enjoy it. But even if you already have the version with words, the audio is well worth it. More than worth it! Really, you need this. But be warned, this will make you laugh. Out loud. So, if you are on a bus and listening, you will laugh on the bus. And people will look at you.